Please buy the session you would like in our online shop and you will be contacted once your order has been received. Click here for more information about the Types of Sessions and Fees. If you are unable to pay online, please contact me and payment can then be made prior to the session either via Bank Transfer or Cash. Also, please note the Cancellation Terms before you make your purchase. Once you have placed your order, be sure to check your Junk or Spam email folder if you did not receive your order confirmation. Short and Long Term sessions lasting 50 minutes are offered to individual adults (over 18). Counselling and Psychotherapy Sessions are offered weekly at/via GP surgeries/community centres in Bridgwater, Somerset, online or at client's home. £40 (Reg Hours) or £50 (OOH) for Home Visits available in postcode areas: TA6 & TA7, TA10, TA11 and BA16). Please contact me with your postcode for quotation as these incur mileage charge of £0.45 per mile. Mileage also charged for free assessments. * Terms and Conditions apply which are that there are no refunds for upfront discounted payments, but paid amounts are transferable between all services offered namely Counselling, Meditation, Reiki or Tai Chi classes. Sessions tend to be less regular or on ad hoc basis. To find out the venue for Reiki and Meditation sessions, please contact me as venues change from time to time pending availability. Tai Chi sessions are weekly at a village hall in Bridgwater which can change from time to time pending class sizes. Missed Session: if you miss a scheduled appointment (standard cost or 10% discounted session) with less than 48 hours notice in advance you will unfortunately be charged/invoiced for the full cost of the session or forfeit a session if you paid upfront. The reason for this is that I will not likely be able to offer the time slot to anyone else. Late for Session: if you are running late I will unfortunately not be able to allocate the full session time as it would impact on my diary for the rest of the day. Please note you will still be charged/invoiced at the full session rate. Classes are paid for on a Pay As You Go basis so there is no cancellation policy in place. 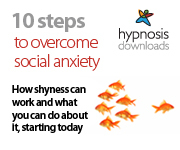 I look forward to hearing from you to help you coping with any anxiety and stress. Anxiety often makes it difficult to make a firm decision, but if you have read this far I feel that you are committed to make a change in your situation. Contact me to find out how to control your anxiety and stress and not to let them control you. Until then take a deep breath ... and be kind to yourself.